With the promise of warmer weather coming soon – or I assume, since we have one day of nice weather and three days of cold rainy ones here – plenty of travelers are thinking about trips to the beach, destinations with pools and cruises. I, myself, will be spending a few days in Virginia Beach on our trip to Williamsburg and Washington, DC. When I go, I always wonder if I should leave my phone in the room or bring it with me and keep it in my bag, or what. On one hand, I don’t like to leave it in the room, but on the other, I don’t want to risk someone stealing it out of my bag when I’m not right next to it. I can’t take it in the water with me, though. Or can I? Travelon has solved my problem. 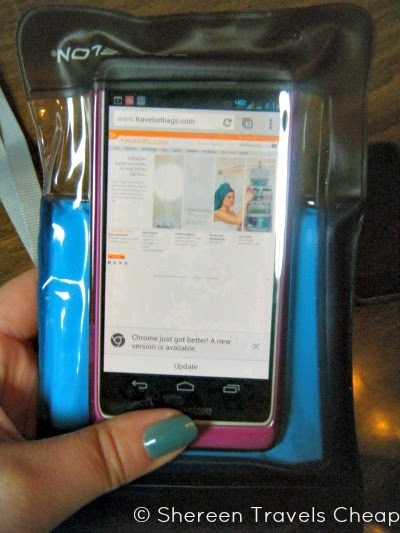 The Waterproof Pouch is made specifically for cell phones – all sizes! – and enables you to carry your phone around where it might get drenched, while completely protecting it and still allowing you to use your phone and its camera. 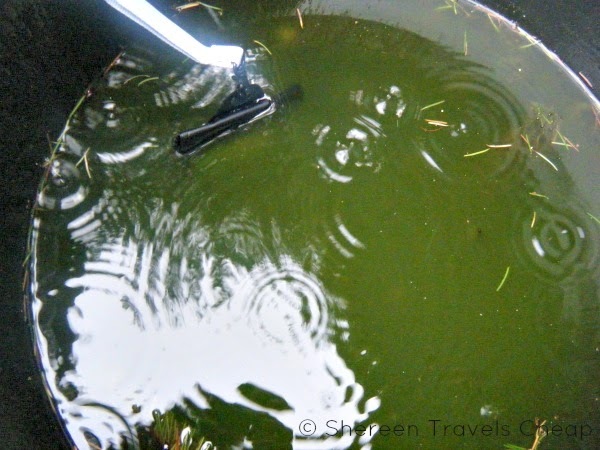 Even better, if you happen to lose your pouch in the water, it actually floats, so you aren’t immediately disappointed by it sinking all the way to the bottom. 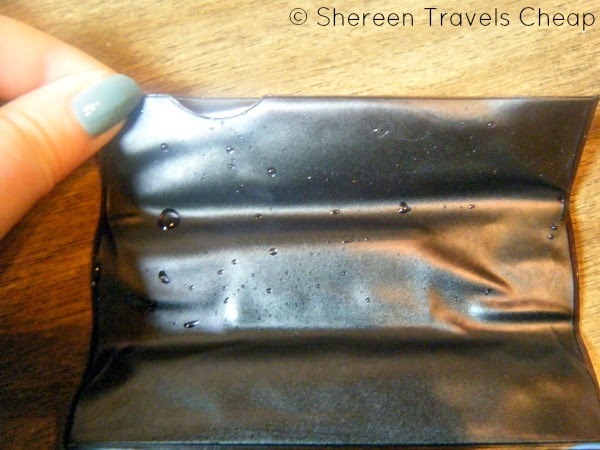 The Waterproof Pouch is totally easy to use. Put your phone in upside down, with the camera pointed towards the clear back, squeeze out as much air as possible with your hands and then roll up the top and hold it in place with the Velcro tab. Now you can check email, play music, go swimming or anything else you want and have your phone along for the ride and absolutely protected. When you’re at the beach, it’s not just water that is a problem for your electronics, but sand and salt, too. You don’t have to worry about that either. The Waterproof Pouch has a removable strap, so if you do end up doing something active, you can easily hang it around your neck. This is especially great for those that do a lot of water activities, like snorkeling (you can even put your regular point-and-shoot camera inside to take underwater photos), jet skiing or fishing. In fact, my dad has lost his phone in the lake when fishing before, because his phone fell out of his pocket and over the side of the boat. Worst. Day. Ever. Next time he goes, he won’t have a problem, but even if he does, he won’t have to buy another phone, because he’ll be able to scoop up the pouch as it bobs on the top of the water. Brilliant! 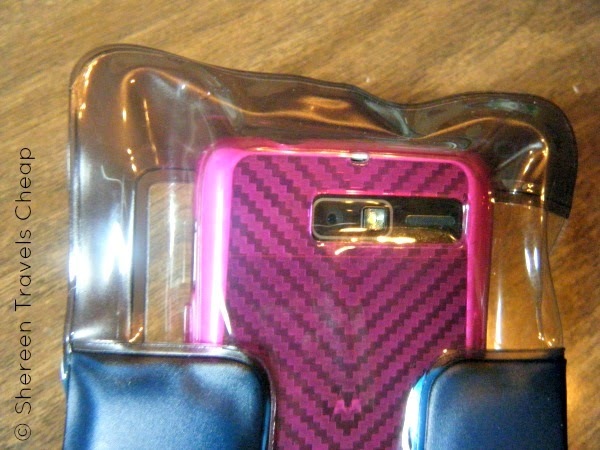 Don’t want to bring your phone with you, but want to protect some other items? 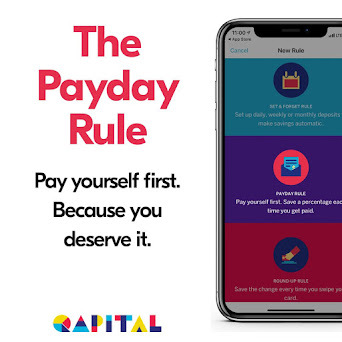 Who doesn’t need to bring their I.D., some cash and their car keys with them when they hit the beach? Keep it all with you and safe from thieves. Going somewhere with high humidity or a very rainy season like the Amazon? Stuff your small electronic inside and your passport and you don’t have to worry about them getting damaged. With a retail price of $13, there’s no reason to not buy one for everyone who is traveling with you. It’s so much cheaper than hundreds of dollars for a new phone, right? You don’t have to worry about the size either, because it will fit even the largest smart phone, while not taking up much room in your travel bag. 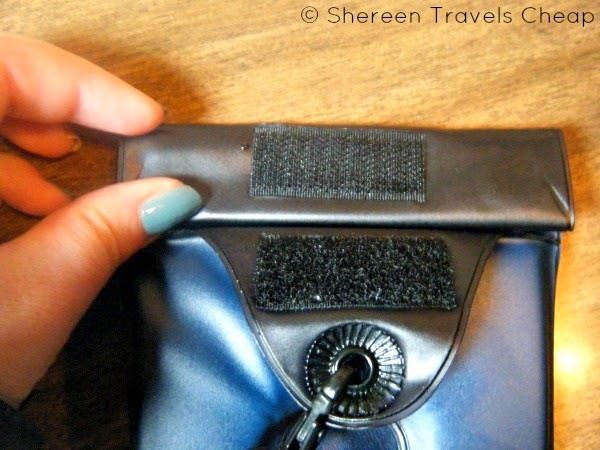 If you’re traveling this summer or do a lot of water sports/activities, this pouch is a must. Even if you’re just spending the day at a theme park where there are water rides, this little pouch is a smart investment! 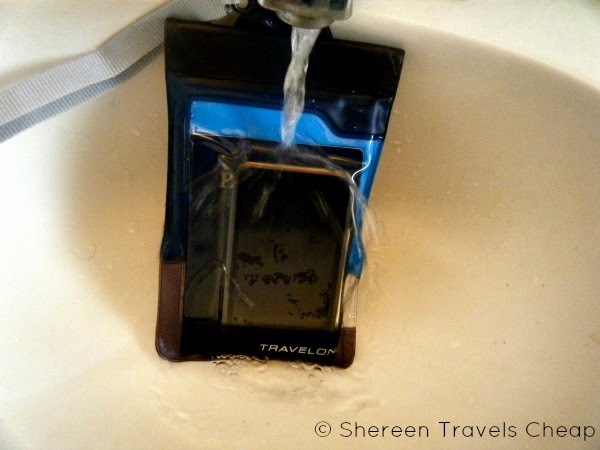 Like the coolness of the Travelon Waterproof pouch? It also comes for non-electronics, with an audio jack (soon), for an e-reader and for an iPad. Disclosure: I was provided with the Waterproof Pouch for the purpose of this review, but all opinions are 100% my own.